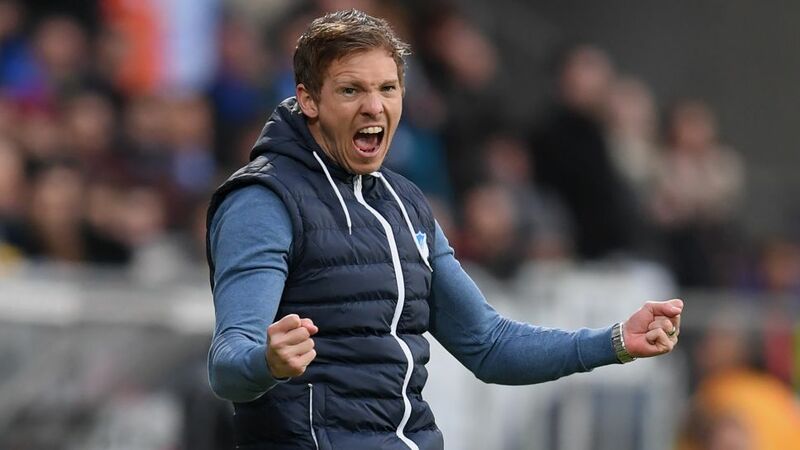 Julian Nagelsmann has enjoyed incredible success since taking over as Hoffenheim head coach last year. Germany's World Cup-winning coach Joachim Löw believes rising star of the dug-out Julian Nagelsmann has the talent to take charge of Die Nationalmannschaft in the future. Is your Official Fantasy Bundesliga team in shape? Click here to make changes to your side! After serving his apprenticeship with Hoffenheim's youth teams, Nagelsmann took over as first-team coach aged just 28 just over 13 months ago. The club's surprise move made him the youngest-ever permanent appointment in the Bundesliga, but Nagelsmann has since shown he has the potential to be far more than an historical anecdote. Head here for the Hertha-Hoffenheim Match Centre. After steering a seemingly doomed Hoffenheim away from the drop zone last season, the former 1860 Munich player and youth coach has turned the club into pretenders for a UEFA Champions League qualifying place this term. Though a knee injury cut short his playing days, Löw believes Nagelsmann will have a much longer career prowling the technical area. "If Julian Nagelsmann keeps going like this, I'm convinced he'll be a great coach. Perhaps he wants to coach another team in Germany or abroad. Perhaps he'll be the national team coach one day. He has very good prospects," the man who guided Die Nationalmannschaft to football's ultimate prize in Brazil in 2014 told Sport Bild. "I think a lot of him, because Hoffenheim have changed completely under him. He is very capable, has empathy and a good connection with the players." Nagelsmann received recognition for the renaissance he has achieved at the WIRSOL Rhein-Neckar Arena when he was named 2016 Coach of the Year by the German Football Federation (DFB) earlier this month. It was a stunning acknowledgment of his work, which initially had not been scheduled to start until the opening of the 2016/17 campaign only for Huub Stevens' resignation in February last year to open the door early for his youthful successor.